The threat of Russian Hackers did not end with the successful sabotage of the 2016 Presidential Election. (Russian Election Hacking Efforts, Wider Than Previously Known, Draw Little Scrutiny) It continues on U.S. businesses, government agencies, non-profits and even home users. “Russian government hackers lifted details of U.S. cyber capabilities from a National Security Agency employee who was running Russian antivirus software on his computer, according to several individuals familiar with the matter. If you are using a Windows based laptop, desktop or server you must have an anti-virus, ant-spyware, anti-ransom ware software program to protect your PC from outside threats including ransom. Regrettably, many unknowing American have chosen products produced by parts of the world who are threatening our way of life. 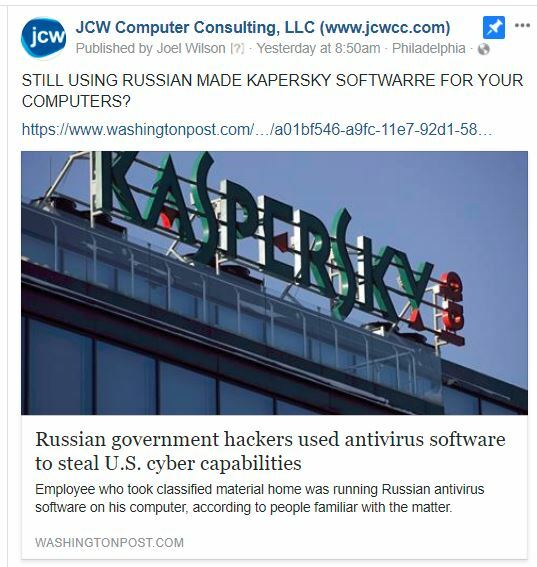 If you think about it, why would you buy your security software from your enemy? 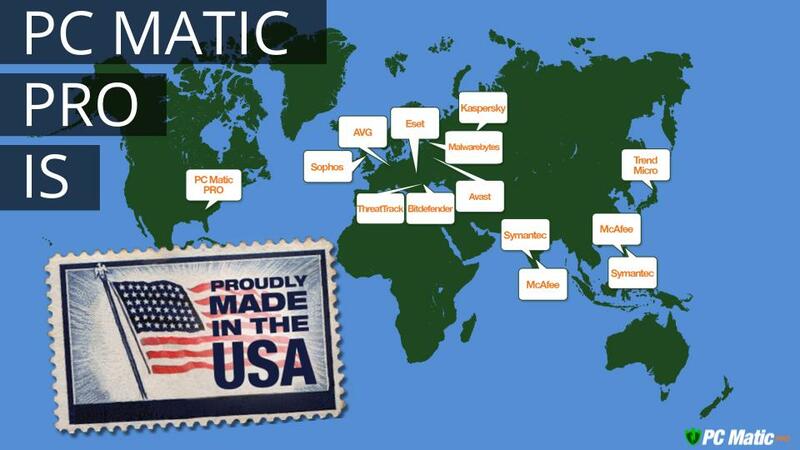 PC Matic Pro is the solution providing Real-Time White Listing, Performance Optimization, Superior Security, Cloud Based Console, Multi-Device Functionality and Powerful Automation.